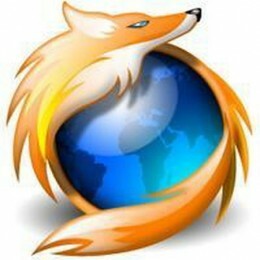 Mozilla Firefox is a very useful browser. In fact it is very popular these days. Firefox is quite different from internet explorer. It's feature are also different and it's provide more than internet explorer. The add-ons, themes and plugins makes it better than any other browser. As it is bit different from other other browsers, the configuration of proxy remain same. You have to do the same,you need the proxy server address, the port number. If you have both then we are ready to go and if don't have one then just Google it. Go to tools in the menu. Now the first option is How Firefox connects to the internet. In front of that Click on settings. Now it will open a window having 4 options. No proxy, Auto detect proxy, system proxy,and manual proxy configuration. Click on Manual proxy configuration. Now enter your proxy server address and port no. in front http and click on apply and ok. This will set the proxy server. Now open any blocked website like facebook.com. If it opens the proxy server is working correctly and if it's not then you have to try another one. If you want to surf the internet normally then you can again go back to the same procedure and check the No proxy in the settings. You can also check on auto detect proxy settings if your network used any proxy settings. By this way browser checks automatically the proxy settings on the network if set by the administrator. I hope it helps. Comment if you have any doubt.